"One of today's premiere Hindustani (i.e. North Indian) classical singers. Ms. Sahasrabuddhe has performed in Australia, North America, Europe, the Middle East and, of course, throughout India. She is known and respected for her directness and extraordinary intensity of performance. Her slow, lingering, non-defined vocal frequencies border on improvisation and demonstrate a total command of abilities. 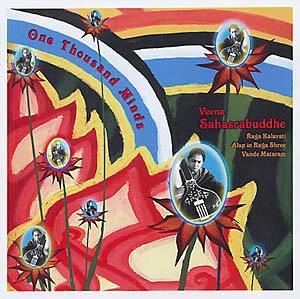 One Thousand Minds perfectly showcases Veena Sahasrabuddhe's unique yet classical approach to Hindustani music. She has over forty other recordings to her name, on such labels as HMV, BMG-Crescendo and Sony, but One Thousand Minds is her very first American release. This special edition is limited to 1000 numbered copies and includes a 20-page photo journal of Veena Sahasrabuddhe's musical history and a lyric sheet in Devanagari with English translations and phonetic spellings. 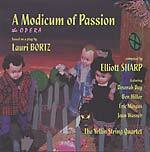 These items are enclosed in sealed 5" audio-reel box with a full-color glossy cover." Last copies.